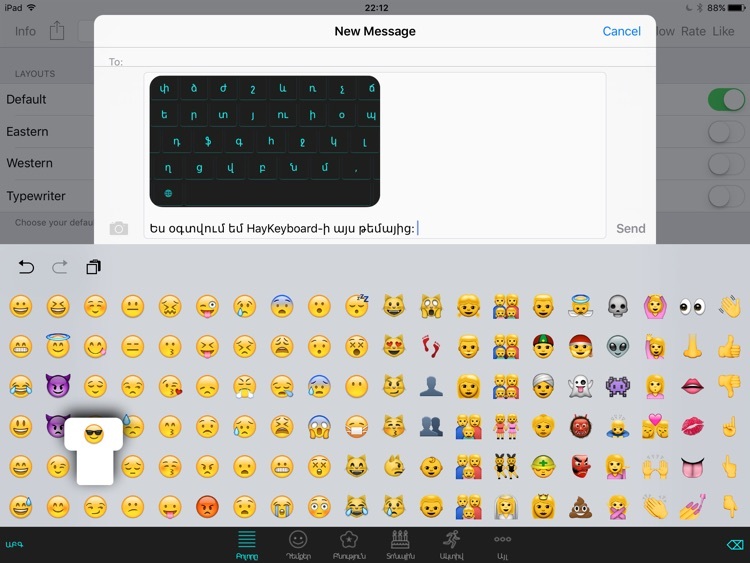 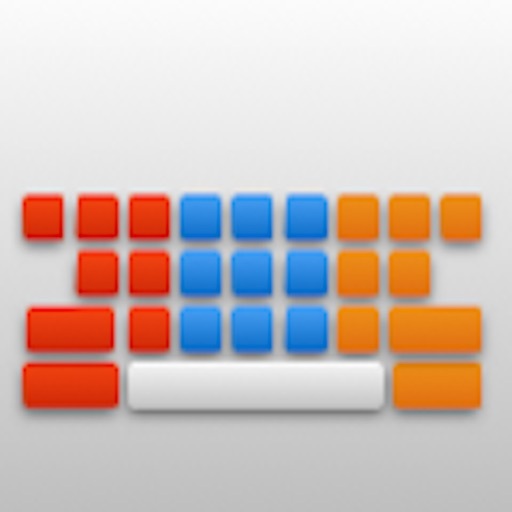 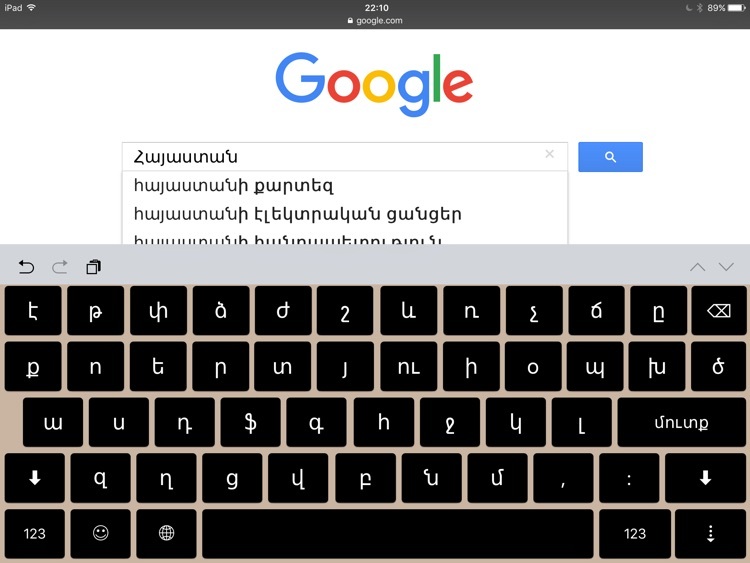 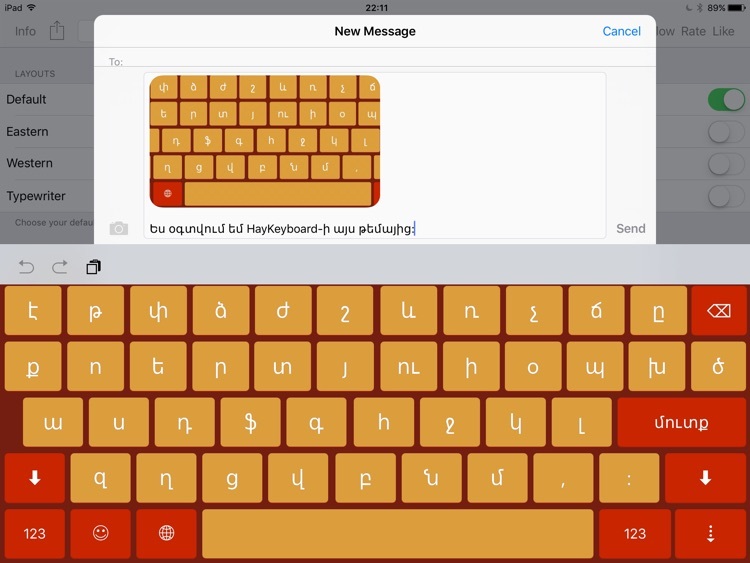 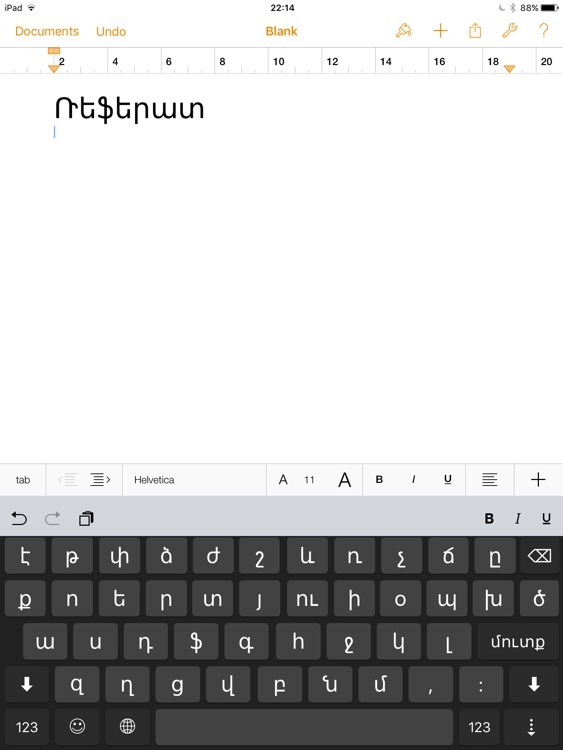 HayKeyboard is a simple note-taking app, that includes an Armenian systemwide keyboard extension. 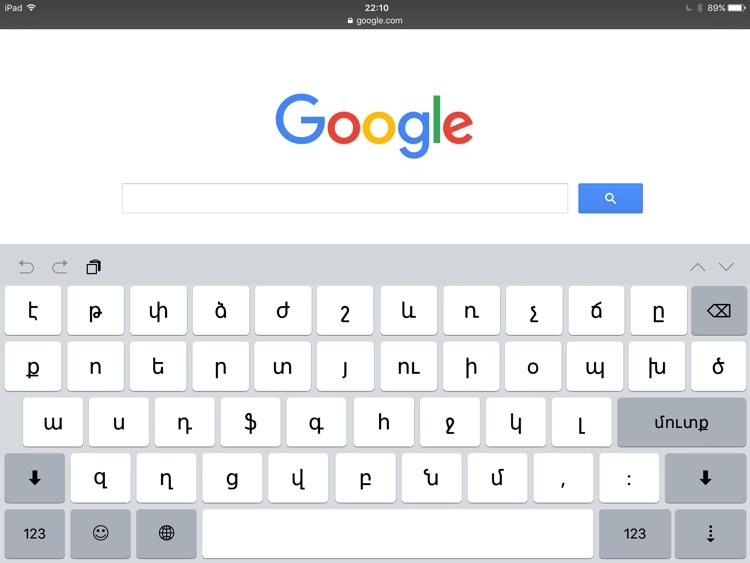 You can use the keyboards everywhere on the system except password fields. 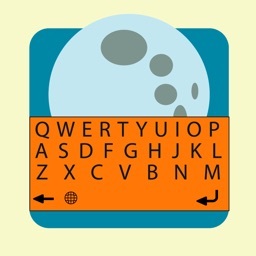 - Autocapitalization upon touching the period key. 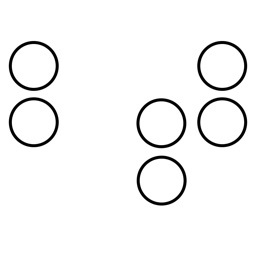 And it will also insert a space.